Within Teamwork Desk you can choose to include the ticket number assigned by Teamwork Desk in the subject line of your reply to a customer. The ticket ID number will appear within brackets in the subject line as below. To enable this, click on the your profile icon to the top right of the navigation bar and select Settings. In the settings area, go to the Company tab and select Edit Company in the left pane. 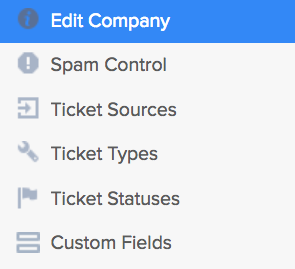 Under the Message Settings section you will see an option to enable Include ticket number. Once this is enabled, the ticket number assigned by Desk will be included in your reply to the customer which can be used for reference by them.